Duran Duran without Simon le Bon? Yes, indeed. Their earliest iteration featured Stephen ‘Tintin’ Duffy. Andy Wickett, formerly of TV Eye subsequently stepped in on vocals, before Simon joined the band. And yes, however synonymous with slick veneer 80s style and pop music, Duran Duran very much always were a band. Real musicians playing real instruments. Le Bon’s vocal talents may have played second to his image, but his voice played an integral part in their overall sound. This four-track demo, recorded in 1979, includes an early version of ‘Girls on Film’ and, ‘See Me Repeat Me’ would later be reworked to become arguably the band’s defining song, ‘Rio’. These cuts showcase a more new wave orientated sound, accentuated by Wickett’s more ragged and less overtly melodic vocal style. While the busy funk-laced bass that would feature in their later work is clearly in evidence, especially on ‘See Me Repeat Me,’ the vibe is more reminiscent of Gang of Four. The middle-eight is a chaotic, jazz-noise workout, and there’s a sharp, dark edge to it. The production (the songs were recorded at UB40s home studio) is altogether more direct and more raw than that which came to define the band’s sound on signing to EMI, and it’s in keeping with the more attacking style of playing. ‘Reincarnation’ is positively gothy, with Wickett taking his cues from Bowie and sounding more like Peter Murphy as he snakes his way around some chilly synths and urgent tribal percussion. There’s a real urgency to ‘Girls on Film,’ the chorus of which is immediately recognisable when it emerges from the furious flurry of nagging clean guitars and driving funk-infused bass. But the verses aren’t only different musically and lyrically, but convey a very different perspective, with Wickett, who co-wrote the song, explaining that “the lyrics were actually inspired by the lives of the stars of old black and white movies…. 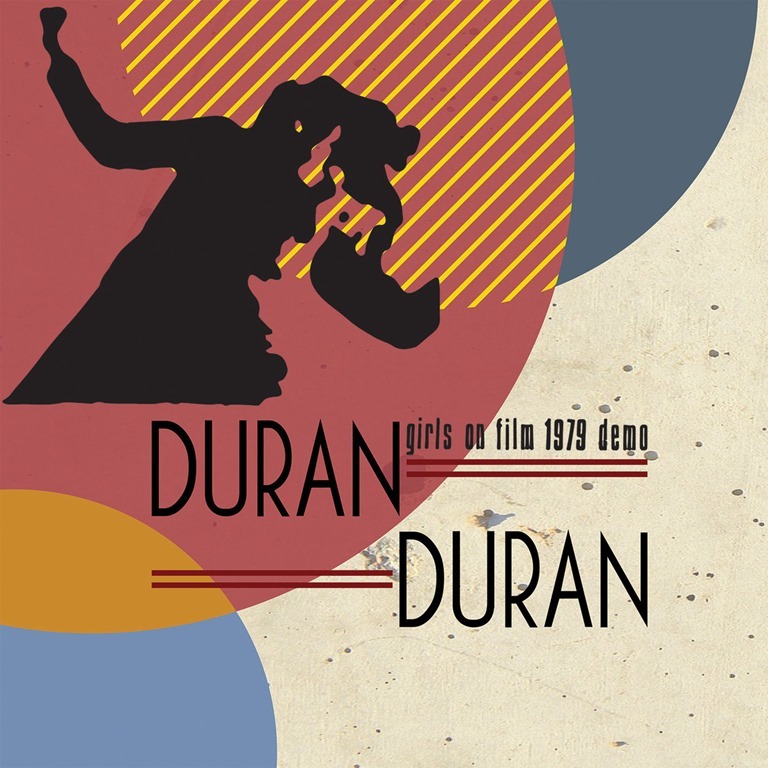 It is important for people to understand the true origins of the song ‘Girls on Film’ and to hear the edgy sound that Duran Duran had in the beginning,” he says. “This song was inspired by the dark side of the glitz and glamour, where these perfect idols suffered tragedy and addiction. The film Sunset Boulevard was also a big influence with its tale of a fading movie star.” Shiny pop, it is not. The last track, ‘Working the Steel’, is again percussion-heavy, with hints of Adam and the Ants, and the vocal hook is a howl. Duran Duran would never sound this angry or intense again, and of course, had they continued in this vein, they’d have likely achieved minor cult status with a couple of EPs and that would have been that. As 80s icons, however polished and on-trend, however deeply they seemed to revel in surface, Duran Duran have, throughout their career, had darker currents and certain depths beneath the gloss. This – maybe – or, one would like to think – has played a significant part in their enduring popularity. That, and their capacity for great pop songs, of course. This release is very much a sketching out of ideas, rough, incomplete, unevolved. But it captures an energy, and, with the elements which would subsequently become prominent in their sound in place, does sound like the beginning of something: rather than simply a piece of juvenilia, it’s a relevant and insight-giving piece of history.